24 Chromas available for each teams participating in the 2018 Season World Championship. A vicious Void predator, Kha'Zix infiltrated Valoran to devour the land's most promising creatures. With each kill he absorbs his prey's strength, evolving to grow more powerful. Kha'Zix hungers most to conquer and consume Rengar, the one beast he considers his equal. When Kha'Zix crossed over into this world, he was fragile and ravenous. The animals he first encountered were too small to fuel the rapid evolution he craved. Kha'Zix focused his hunger on the most dangerous creatures he could find, risking his life to satisfy his need. With each kill he feasted and changed, becoming a stronger, faster predator. Kha'Zix soon chased his prey with unrestrained aggression, believing he was unstoppable. One day, while savoring a fresh kill, the predator became the prey. From cover a creature pounced in a blur of fangs and steel, tackling him to the ground. It roared in his face slashing and clawing, and Kha'Zix felt his blood spill for the first time. Screeching in fury, he sliced at the brute's eye driving it back. They fought from sunset to sunrise. Finally, near death, they reluctantly separated. As his wounds closed, Kha'Zix burned with anticipation at the idea of devouring one who could match the Void's strength. He resumed his search for powerful prey with renewed vigor. Someday, Kha'Zix will feast on Rengar. Innate: Nearby enemies that are Isolated from their allies are marked. Kha'Zix abilities have interactions with Isolated targets. When Kha'Zix is not visible to the enemy team, he gains Unseen threat, causing his next basic attack against an enemy champion to deal bonus magic damage and slows them by 25% for 2 seconds. Active: Deals physical damage. If the target is Isolated, the damage is increased by 65%. Evolved Reaper Claws: Increases the range of Taste Their Fear and Kha'Zix basic attacks by 50. If the target is Isolated, refunds 45% of Taste Their Fear's cooldown. Active: Fires exploding spikes, dealing physical damage to enemies hit. Heals Kha'Zix if he is within the explosion radius. Evolved Spike Racks: Void Spikes fires three spikes in a cone and slows targets hit by 60% for 2 seconds. Isolated targets are slowed by 90% instead. Active: Kha'Zix leaps to a target area, dealing damage to nearby enemies. Evolved Wings: Kha'Zix's leap range is increased. Kills and assists will refresh the cooldown of Leap. Passive: Ranking up Void Assault allows Kha'Zix to evolve one of his abilities. Active: Kha'Zix becomes Invisible for 1.25 seconds and activates Unseen Threat. While Invisible, he gains 40% Movement Speed and ignores unit collision. Void Assault can be cast a second time within 10 seconds. Void Assault can be used again within 10 seconds of the initial use, up to 2 times total. Evolved Adaptive Cloaking: Void Assault's uses are increased to 3 within 10 seconds, and its stealth duration is increased to 2 seconds. Passive damage buffed. W slow increased. Kha’Zix has been struggling since our changes to his evolved R in patch 8.11. We’d like to give it a bit more oomph in a way that relies on the clever use of ultimate casts to eke out the full value. We’re also amping up the utility of Void Spikes to help Kha’Zix set up plays in ways that aren’t just… murdering you faster. R cooldown decreased at later ranks, but stealth duration decreased. Evolved R grants additional casts and stealth duration; no longer grants stealth or movement speed in brush. One thing every assassin needs is a way to dance in and out of a fight and safely put down damage. For Kha'Zix, that's the stealth from Void Assault . The brush stealth on his evolved R is currently giving far too much of a different strength, though: the ability to sneak around the map relatively undetected. We're removing that evolution bonus in favor of giving Kha'Zix more R casts—and longer stealth—when he's upgraded his ultimate. Q base damage down; ratio increased; bonus vs isolated targets increased. W bonus damage to monsters removed. At the moment, the monster damage in W ties Kha'Zix to the jungle. We'd like to give him a chance to spread his wings elsewhere, so we're swapping that power for a bigger Q buff than the Duskblade changes warrant alone. Passive scaling decreased. Q scaling increased. Kha'Zix is supposed to shine when he can isolate a target and chain his abilities on them. At the moment, the damage on his passive is a bit too high, allowing him to win nonisolated fights he probably shouldn't. As a result, we're shifting some power out of his passive and into his Q.
Q damage decreased but Isolation bonus increased. R stealth duration increased. Q ratio down. Evolved Q cooldown refund on Isolated targets down. While the Assassin update delivered on giving Kha’Zix more flexibility in his evolutions, it’s clear we may have gone too far. Kha’Zix is a champion about burst damage, but Evolved Claws introduces enough sustained damage into his fights that he’s tasting the best of both worlds. Kha’Zix should still be favored in Isolated situations overall, but cutting down Taste Their Fear’s aggressive scaling should give classic duelists (like Elise or Lee Sin) the upper hand when striking first. Evolved Q refunds Q’s cooldown when cast on Isolated targets, Evolved W heavily slows Isolated targets, and Evolved R stealths Kha’Zix when entering brush. While Kha’Zix’s evolution mechanic promises the ability to tailor your decisions to the game at hand, the balance of power between options has made that promise a difficult one to keep. For pre-season, we’ve retooled KZ’s evolutions by playing up his other unique mechanic: Isolation. While you’re welcome to still just evolve wings first (because it’s sweet), we’re pushing more of Kha’Zix’s power into stalking Isolated targets rather than overwhelming them. This focuses his decisions less on which give Kha’Zix the most damage potential and instead on which will help him hunt his prey game to game. AGGRESSIVE CLOAKING While evolved, Kha’Zix gains Void Assault’s invisibility and movement speed for 2.5 seconds upon entering any brush while out of combat (with a maximum of 1.25 seconds after exiting the brush). This effect has a 10 second cooldown per brush. Q and W cooldowns reduced. Kha’Zix takes more risk than reward these days, despite appearing on the Patch Notes a few times recently. Kay-Z’s a bit of a balancing tightrope - Isolation makes him feast or famine by nature (either dominating a game or sputtering out), but he’s far enough below the line that we’re okay giving him some love. We’re being careful not to flatly increase his burst, but giving him better dueling in extended fights as well as a booster shot to his jungle clear. The patch note is pretty much a summary, so go read that. We're finding a happy medium here for Kha'Zix (and Rengar) in their ability to frontload damage as they come hurtling through the air to cuddle with the backline. This probably won't be the end of our Kha'Zix conversation, but we're currently being very, very careful with assassin tuning. Passive attack comes out faster. W's explosive radius is up. E range up. With the removal of Ranger's Trailblazer, Brutalizer, and the old Last Whisper, Kha'Zix lost a lot in the transition to 2016. Our previous attempts to restore some of his former glory were well intentioned, but weren't enough to bring the bug back. 6.1's all about helping Kha'Zix achieve successful isolation without needing to increase the isolation range itself. Highlighting and enabling Kha'Zix's ability to capitalize on the missteps of his prey fits perfectly with KZ's own motto: evolve, and overcome. Armor up. Q cost down. One of the lessons the new season's taught us: attack-damage assassin's ain't so hot right now. This is mostly due to much of their itemization being skewed to synergize with the crit-based damage output of marksmen, meaning that old standbys (like Last Whisper) are less effective as a core-item for murderbugs and ninjas alike. That's a long-term problem that will require a long-term solution. While we noodle on that, we're shipping Kay-Z a much-needed care package targeted at pushing his jungle-sustain up to 'passable' from 'constantly in fear of death'. Ironic. Clarity. Been awhile since we said that word, hasn't it? Clarity. "Just tossin' a little love over to Kha'Zix's isolation radius. Kay-Z doesn't have ways of naturally isolating his opponents, so we're looking for a middle-ground between 'killing you right next to your support' and 'opportunistically catching people out of position'." W heals for more at early ranks. "With potent ganks and snowball potential, Kha'Zix's risks might outweigh some of his reward when it comes to taking him into the jungle. Bumping up the early heal to impact his early clears should see this bug working as intended." Void Spike's cooldown is higher. By 2 seconds. Excellent summary. "Though Kha'Zix has been at the forefront of bottle-necking competitive diversity for a while now, we're content with giving him a slap on the wrist due to the massive shifts the upcoming season will bring. The increased cooldown to Void Spikes should see this jumping and slashing jungle-bug rely a little less on poking from afar and more on what he's really about: jumping and slashing (and jungle-bugging). " W's damage has gone down, particularly at higher ranks. Also, sometimes we just want to talk about Kha'Zix. "While it's true that Kha'Zix has been a tough bug to balance, we wanted to talk about our approach with him. If you're not interested in a long Kha'Zix context for a single change, feel free to move on. WARNING: this discussion's going to get a little complicated! So. Kha'Zix has once again found a way to prosper as a high-priority assassin, but the popularity of a champion doesn't automatically translate to them needing a nerf. To us, when someone becomes popular in high level / competitive play, we see them as exhibiting symptoms of certain attributes that competitive players value: strength, overall effectiveness, and reliability. 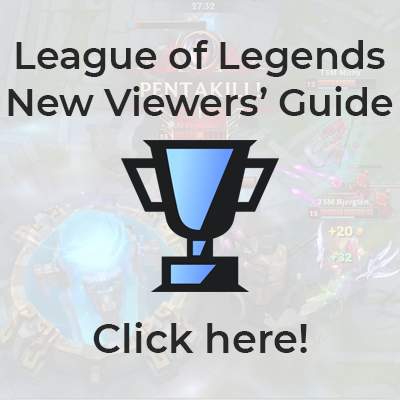 As such, we do keep an eye out for popular competitive champions, but our first goal is to understand if they're just powerful strategic picks in the current meta or if they're actually objectively better (or more reliable) than their peers. In the case of Kha'Zix, Q was designed to be his main tool when assassinating targets, and it's important to maintain that relationship for game health / champion identity reasons. Right now, however, Kha's actually prioritizing W as a first evolution (and max rank), but he's still expecting to do all of his assassin-y things (note: without evolving or focusing on what should be his primary killing tool). We're fine with players opting for a W-first Kha'Zix, but this means he's gotta make some meaningful tradeoffs, like losing some offensive threat while gaining utility / poke. Unfortunately, this hasn't really been the case as we're still seeing Kha'Zix being very effective as an assassin while also getting all of the extra utility of evolved W.
What all of this tells us is one of two things: a.) The utility and strength of evolved W is too reliable in combination with Kha'Zix's base kit, so he can get the best of all worlds by maximizing his utility while also being a high-threat assassin. Or b.) Kha'Zix's evolved Q is too weak to properly use as a primary play pattern, so he's forced to max / evolve W to stay relevant in the game but doesn't really want to. We strongly suspect the first case is more true (and this is reflected in our change). It's tough to justify a champion being 'too weak' if they continue to be a high-priority pick in games where strength and reliability are the most important traits. Final reassurance though: we do think Kha'Zix's play patterns are fairly healthy overall, so we're not planning to make any major changes in either direction, we just wanted to explain some of our thought processes as we work." "We're doing a little follow-up for Kha'Zix, especially with our previous tanky jungler and marksman buffs." Evolved Wings' cooldown is now the same as Leap. "Kha'Zix is currently strong at all levels of play, but when we discovered this bug (heh), we felt the right thing would be to fix it to work as intended, even if it meant giving him a slight buff. Long term, we're still considering changes to Kha'Zix that allow him to retain his assassin playstyle without having the raw strength to brute force his way out of most situations." Targets now need to be further away from each other to be considered 'isolated' for Kha'Zix's damage amplification. Turrets now count as friendlies when it comes to preventing isolation. Kha'Zix now needs to wait a bit longer before re-entering stealth via his R.
"As an assassin, Kha'Zix should be looking for windows of opportunity (or should be relying on his teammates to create those windows) to engage. Instead, Kha'Zix has so much raw power that he's simply forcing engagements and kills on his own. When assassins can start and end a fight without support, that typically points to an overall lack of tactical weaknesses (which champions need to have in order to maintain meaningful counterplay). These changes are to offer more windows of opportunity against Kha'Zix and should make him think twice before going all-in, but this will be an ongoing project as we examine Kha'Zix's core role and strengths." Kha'Zix must stay out of stealth longer between casts of Void Assault. Evolved Active Camouflage no longer reduces damage from turrets when Kha'Zix is stealthed. "We love seeing Kha'Zix players adapt to the changes to Evolved Active Camouflage. Unfortunately, the increased duration of Void Assault combined with extremely short between stealth windows meant that Kha'Zix was straight face-tanking abilities and turret aggro rather than swiftly moving in and out of fights. These changes let Kha'Zix's opponents have a way to respond when the bug is out hunting." The changes to Kha’Zix are ultimately about giving him more viable choices when picking evolutions. Evolving Void Spikes granted such huge damage, high poke, and great utility that it was crowding out his other evolutions. Now Void Spikes gets a slow as part of the base skill, so its utility is there even at level one. Taste Their Fear’s evolution was previously reliant on having targets isolated. Now it works whether they are isolated or not, but does more damage against isolated targets, making it a more reliable choice. We also increased Void Assault’s damage reduction while in stealth to make it a slightly more enticing choice and to remind players of its additional utility. This page was last edited on 23 March 2019, at 20:04.